“I’m sorry” and “excuse me” are words we hear on a daily basis. When used liberally and expressed sincerely, they go a long way towards preserving civility and smoothing over awkward moments. If I accidentally bumped into you on a crowded Metro train, of course I’d say, “Excuse me.” And you would nod, knowing that I didn’t mean anything by it. Just the jostling of the trains. In these social situations, saying we’re sorry doesn’t take an awful lot of effort. It’s a habit as much as anything, part of being polite and having good manners. But if our actions descend to the level of boorish, unfeeling, callous or incompetent, then we’ve veered into new territory. We may need to issue an apology. 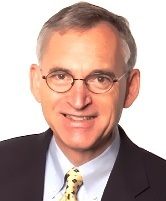 This is especially the case if we represent a company or an organization whose reputation we are entrusted to protect. Unless you’re Donald Trump and don’t have to apologize for anything, there will be times when you need to own up to your lack of judgment or your company’s poor performance. And while The Donald doesn’t do apologies, I’ll bet the managers of his hotels do if a customer isn’t treated right. There are many guides for writing apologies, and you can find tons of examples on the Internet. 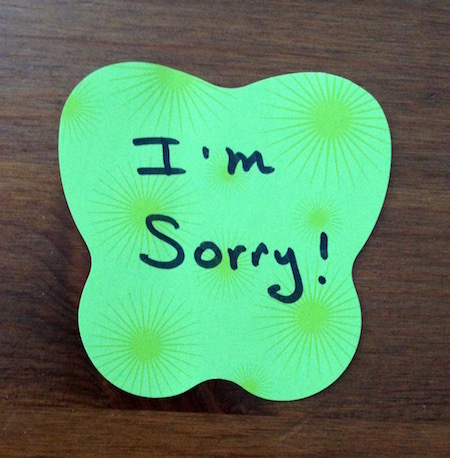 Over at apologyletters.net, there are sample apology notes for every conceivable shortcoming. No matter what you’ve done wrong, they have a letter for it! However, I would strongly urge against using fill-in-the-blank templates. Like thank-you notes, apology letters are most effective when they are heartfelt and personal. It’s best to write your apologies in your own words. Business and professional apologies can be more formal, but they should still be personalized and certainly tailored to the specifics of the situation. Acknowledge the problem, but from the recipient’s point of view, not your own. Put yourself in the shoes of those you have let down or offended. Make it clear to them that you appreciate their concerns, that you understand why your behavior was disappointing, hurtful or uncaring. In short, name the offense and own up to it. Do not gloss over it or resort to being glib. Say that you are sorry in plain, simple language. Do not make your apology conditional. Do not embellish or make excuses. Demonstrate that you genuinely regret what has happened. Provide an explanation, particularly if there are extenuating circumstances, but only to help clear up the situation. Again, do not excuse your behavior or try to assign blame to anyone else, especially the person you are apologizing to. Describe what you will do to correct the problem so that it will not happen again. If appropriate, offer to make amends. This could include reimbursing someone for expenses, offering a replacement or similar product or service, providing a credit or giving a discount on a future purchase. Conclude by asking the person to accept your apology. If appropriate, thank the recipient for bringing the matter to your attention and providing honest feedback so that you can continue to improve. Stick to the subject of the apology. Do not cover other topics. Do not delay in apologizing, especially if delaying may cause further injury to your relationship or to your reputation. Avoid the non-apology apology. Politicians and other public figures often resort to saying they are sorry in self-serving and insincere ways. (“I’m sorry my office did not release the facts right away, but I personally have done nothing wrong.”) Such apologies are not really apologies at all. Saying you are sorry doesn’t necessarily mean that you are liable. However, use your judgment when issuing an apology. Obviously, you should avoid saying things like “this never would have happened if we were doing our job” or “we were clearly negligent.” Consult with an attorney if you are concerned about liability issues. Some states have laws that prevent defendants from using an apology as evidence of liability (for example, in a malpractice lawsuit). Far and away the biggest stumbling block to apologizing is our belief that apologizing is a sign of weakness and an admission of guilt. We have the misguided notion we are better off ignoring or denying our offenses and hope that no one notices. In fact, the apology is a show of strength. It is an act of honesty because we admit we did wrong; an act of generosity, because it restores the self-concept of those we offended. It offers hope for a renewed relationship and, who knows, possibly even a strengthened one. The apology is an act of commitment because it consigns us to working at the relationship and at our self-development. Finally, the apology is an act of courage because it subjects us to the emotional distress of shame and the risk of humiliation, rejection and retaliation at the hands of the person we offended. All dimensions of the apology require strength of character, including the conviction that, while we expose vulnerable parts of ourselves, we are still good people. This entry was posted in Communications, Leadership and tagged apology, character, make amends, relationships, restitution, sorry. Bookmark the permalink.